Just a few nights ago, you asked for a song while I was putting you to bed. This is common, and we usually go through a rendition of “Zacchaeus Was a Wee Little Man” or the Thomas the Train Engine theme. But not this night. Oh, no, not this night. On this fateful night, you asked for a new song. Now, I’ve had to make up songs on the spot for you before, but nothing like this one. You wanted a song titled “I Like Jake”. 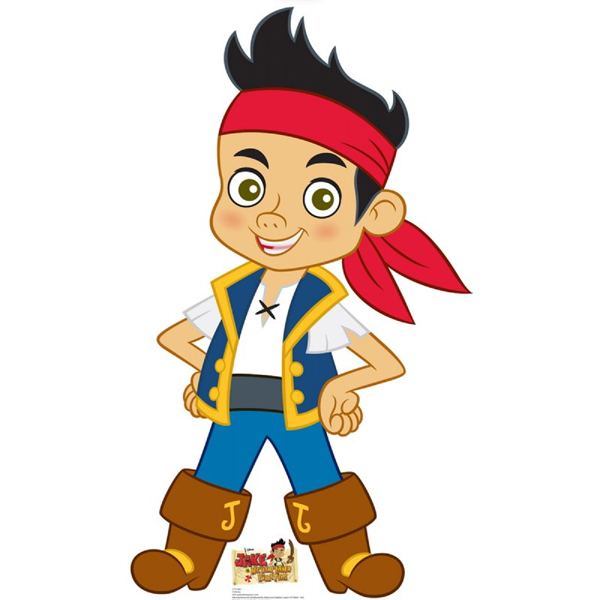 “Jake” here, is Jake from Jake and the Neverland Pirates. I responded, “Oh, you want a song about Jake and Cubby and Izzy (the other characters from the show)? You said, “No, just a song about Jake. A song about ‘I Like Jake’. Not with Izzy and Cubby.” Then you gave a mischievous, mildly embarrassed smile. Raesin, you are three years old. I don’t know how old most girls are when they have their first crush, but I imagine that whatever age it is, their dad would say what I am about to say right now. Of course, I can’t think of a time when it wouldn’t be “too soon”. Audrey Rae, I’m basically writing you this letter to apologize. I don’t know when you’ll have your legitimate first crush, but I hope I handle it better than this one. All I can think about is that I don’t care if he’s fictional or not, I will punch Jake in the face. I can totally see where Captain Hook is coming from now. Remember that I am a mixed martial artist. No, that’s not what I should say, sorry. Remember that you are my little girl and will always be my little girl. I’ll want to protect you forever, even when I’m too old to do so, even when you don’t need me to, and especially when you don’t want me to. I’ll likely have an issue with a lot of the boys you know, just out of principle. I’ll probably seek the worst out of the boyfriends you someday have. I’ll certainly embarrass you in front of a boy at some point. I just want you to know that all of this is a sign of how much I love you. I’ll try, I really will, to be civil to the guys you bring home, but in my mind, none of them will ever deserve you. You are more than a girl to pursue or a prize to be won, you are my beautiful daughter, and no one other than me can comprehend that. But, I also know that someday I’ll have to let you go. I know that someday you’ll find someone to leave home for. When that day comes, I’ll try to be ready. But until then, know that being the only man in your life is something that I cherish more than you can understand. By the way, the song I made up was all about how good of a friend Jake is, and how he’ll always be a great friend. P.S. – I really am a mixed martial artist. And I own a gun. Remember that. I really like your blog. Your posts are funny, and interesting to read. Reading this almost brought a tear to my eye though haha. I love the ps at the end. Its something my dad always says “Tell that boy I have a gun collection”. Okay dad. Yeah, it’s a dad’s job to terrify young suitors.